Set of two cover cushions with contrast piping. Approx. 28.4" square; boxed weight .51 lbs. Ottoman replacement cover with contrast piping. Approx. 28.6" x 23.2"; boxed weight .57 lbs. 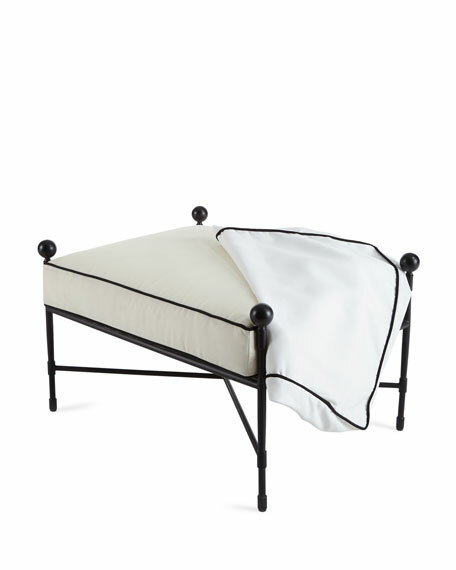 Classic black and white outdoor ottoman. Frame made of powder-coated steel with aluminum finials. 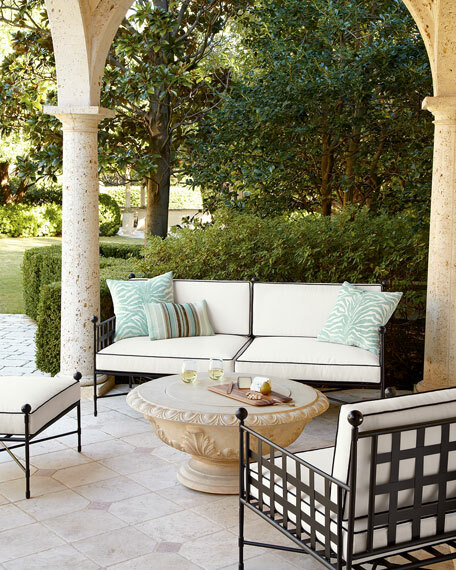 Cushion covered in water-repellent/resistant polyester fabric; store cushions in a dry place when not in use. 31"W x 23.75"D x 18.75"T.
Boxed weight, approximately 34.5 lbs. 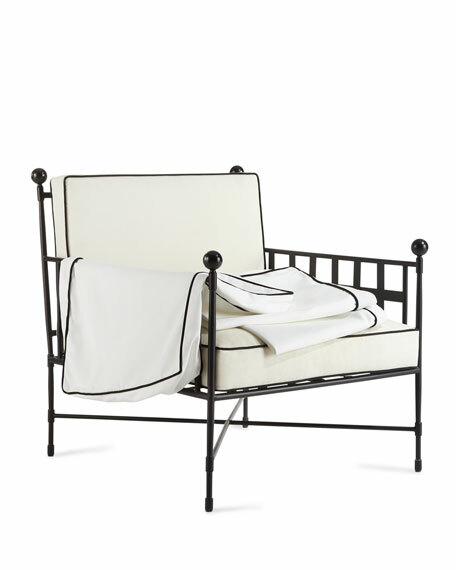 Classic black and white outdoor lounge chair. Cushions covered in water-repellent/resistant polyester fabric' store cushions in a dry place when not in use. Seat cushions, 4"T; back cushions, 3"T.
30.5"W x 35"D x 33.25"T.
Boxed weight, approximately 69 lbs.